How To Protect Yourself and Your Family from Over 400 Different Pesticides, Herbicides and Chemicals Dumped and Strayed On the Food You Eat Daily. over 2.5 billion pounds are dumped on croplands, forests, lawns, and fields. 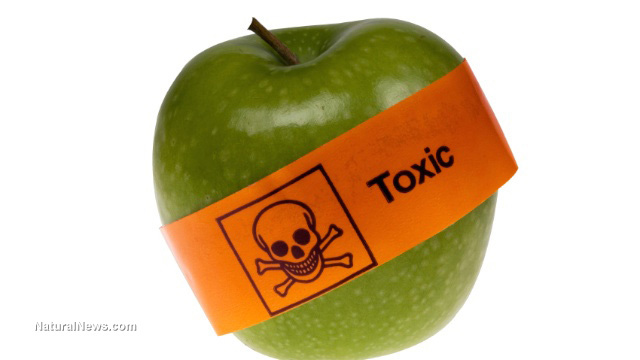 In a single meal, a person could easily consume residues of a dozen different neurotoxic or carcinogenic chemicals. Yet, the Office of Pesticide Programs at the Environmental Protection Agency (EPA) does not include the potential for multiple exposures to the same pesticide when calculating permitted residual levels of a given compound. EPA scientists have found that, at any time, if these residues were totaled, they would exceed 500 percent of the daily-allowed intake. Furthermore, these chemicals have not been tested for human safety, and the EPA does not have a scientifically acceptable method for determining the risk for multiple exposures. 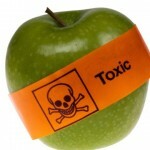 This entry was posted in Chemicals in water, herbicide removal from food, illness prevention, pesticide removal from food, Strong Alkaline water and tagged dangers of toxic chemicals on food, food safety, herbicides on food, how to remove pesticides from food, organic food, pesticides on food, safe food, strong alkaline water. Bookmark the permalink.